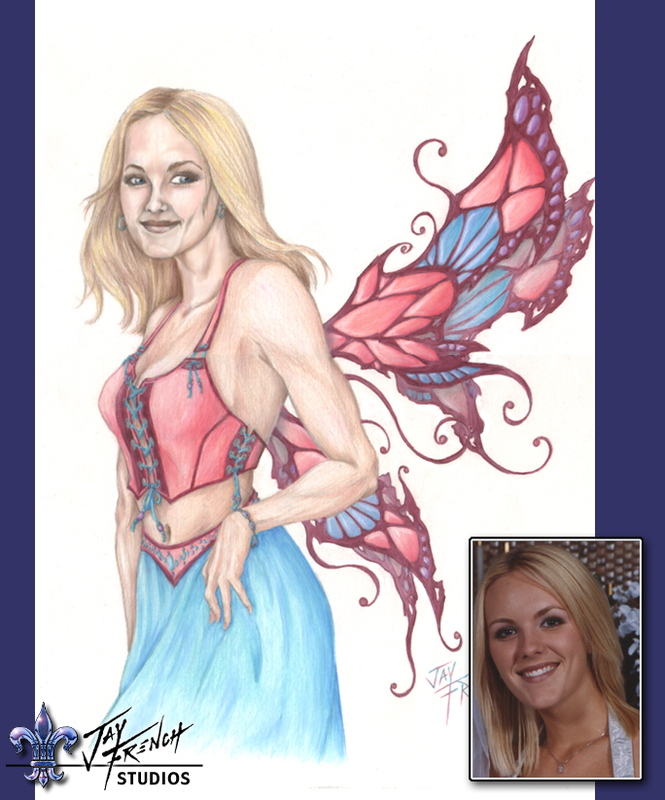 This was a Fantasy Portrait for a girl in my office (her name's Angela, that's why I call this one "Angel Faerie"). I was a little unsure as to whether she would prefer a faerie or a regular portrait, so I did it this way, scanned it hi-res, then printed one full size 8x10 and one zoomed in face-only 5x7. She loved it! Click the image to view merchandise with the "Angel Faerie"